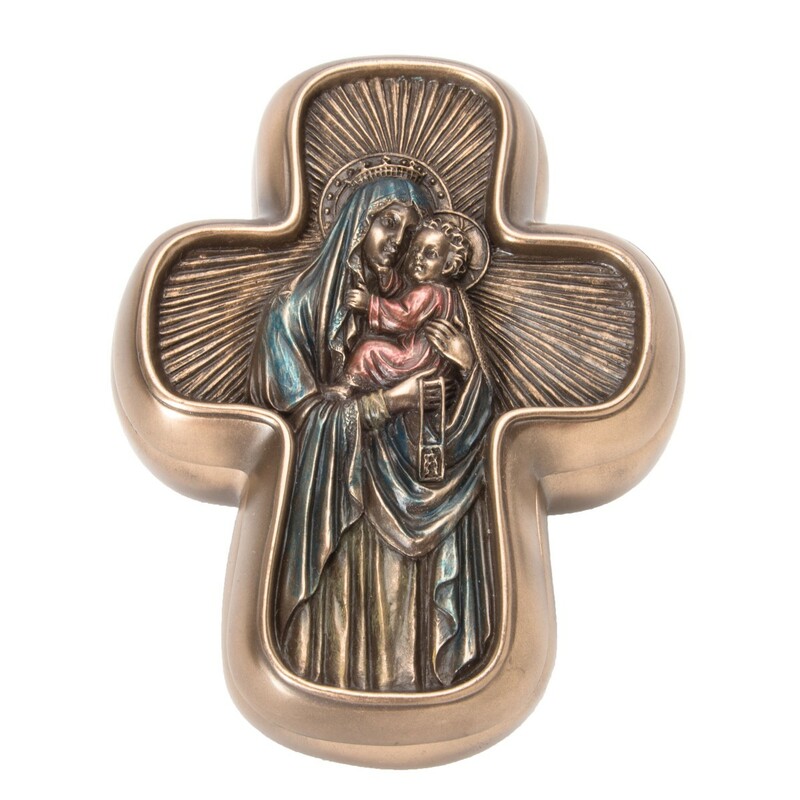 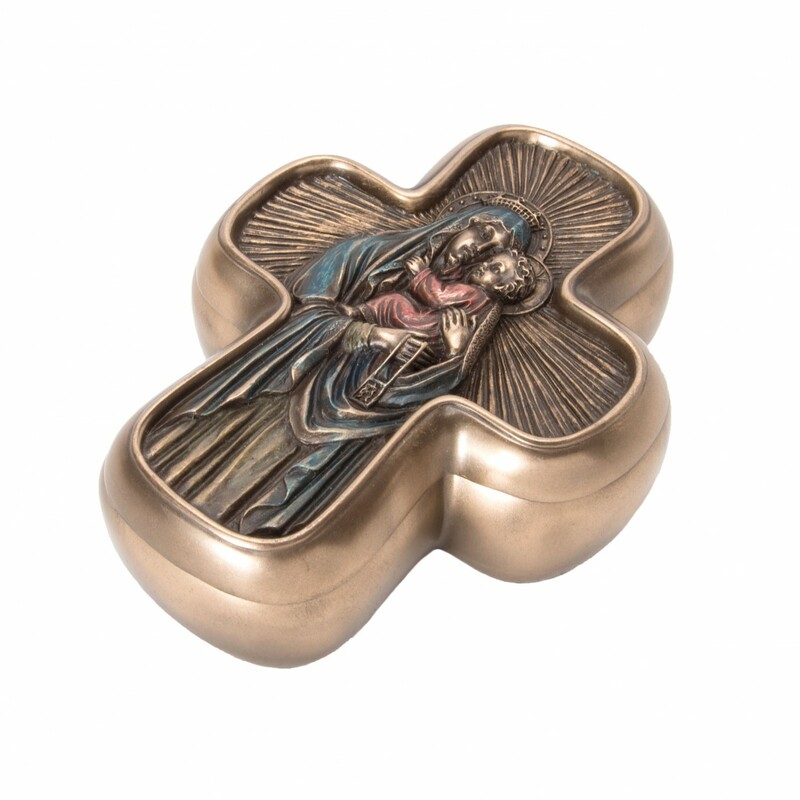 This charming, even handsome solid resin box is made in an unusual shape and has a lightly hand painted figure of Mary holding the Christ Child. 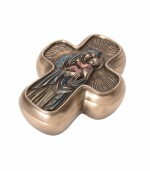 This cross-shaped box is beautifully detailed and on the lid a crowned Mary is shown with the Christ Child. 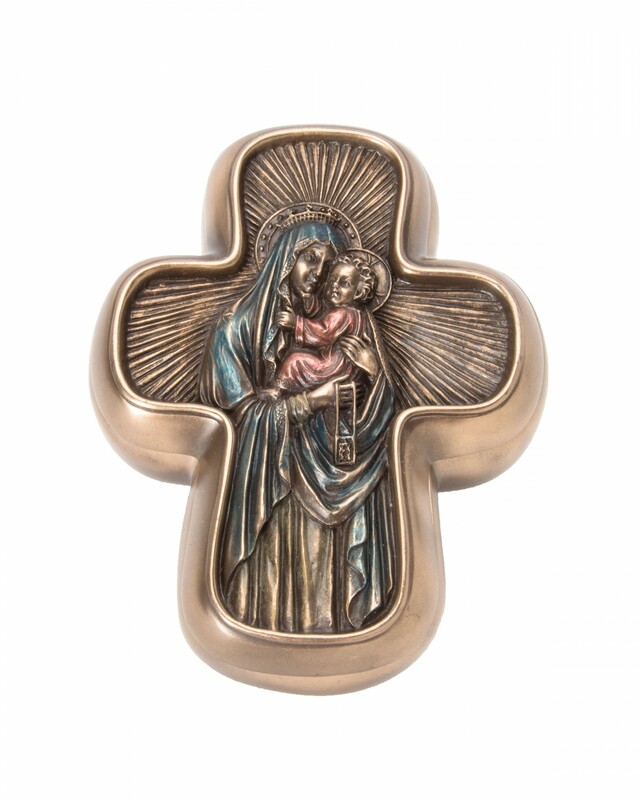 Mary’s robe is painted blue while Christ’s garments are painted red, signifying in turn the humanity of Mary and the divinity of Christ. 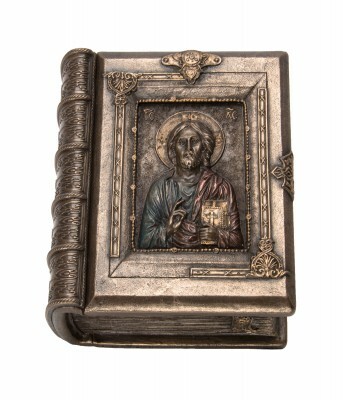 The background is golden which symbolizes heaven in traditional Byzantine iconography. 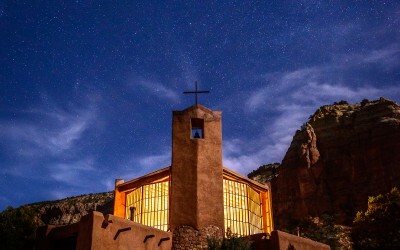 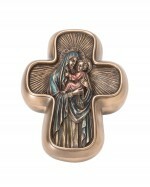 The creased indentation of the background gives the impression that Christ and Mary are surrounded by refulgent light. 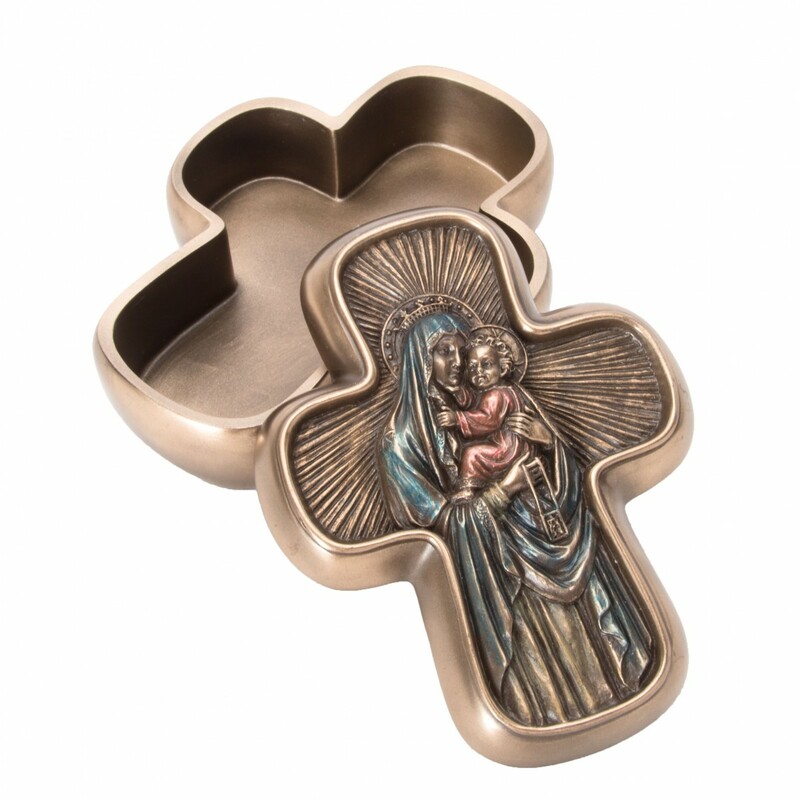 The cruciform box on its sides is a shiny copper color that gives an impression of the box being precious. 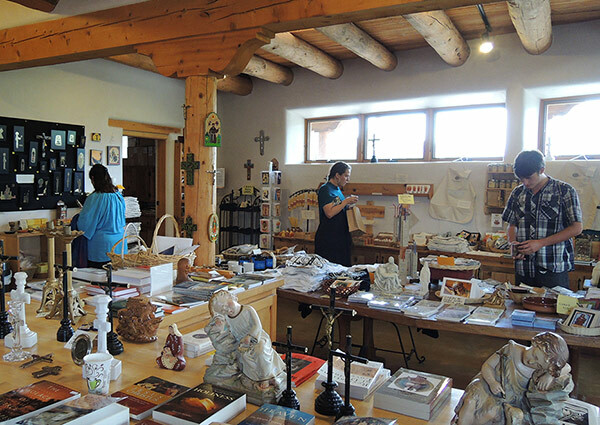 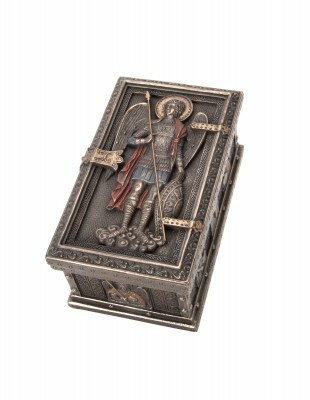 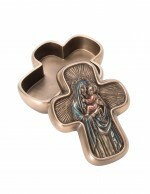 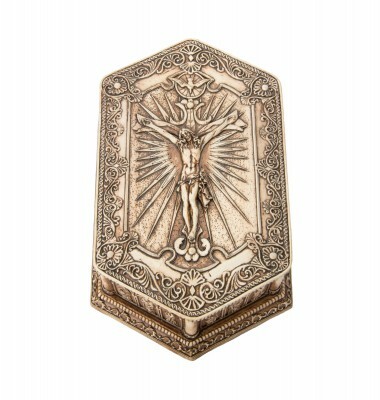 It is a great way to store medals and other valuables as well as being an unusual gift to ladies of the Christian faith.